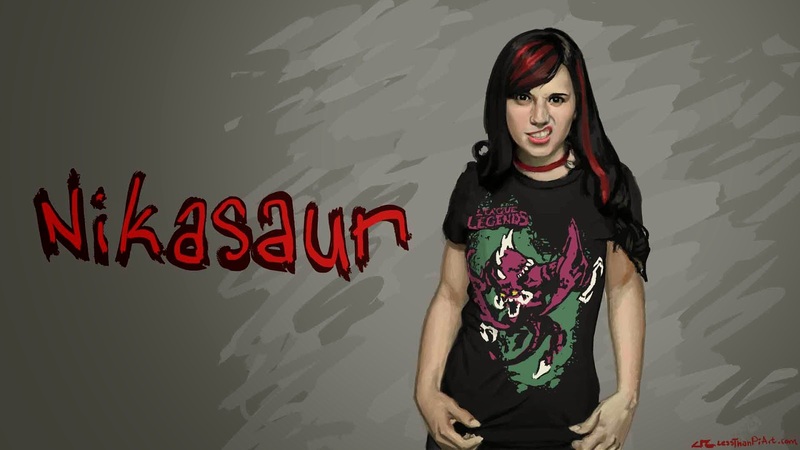 LessThanPi Art: Pi Paints Nikasaur! High low ladies and gents just got done with my latest study! 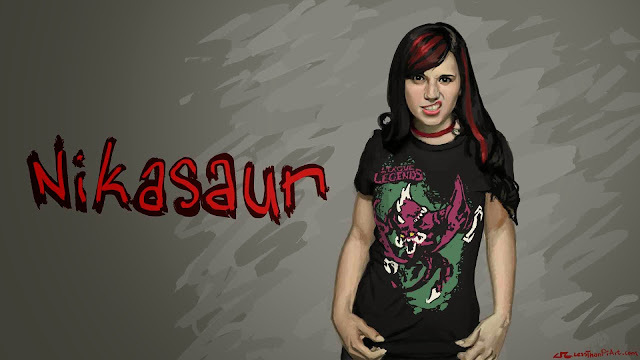 This time featuring Nikasaur; formally of Riot Games (you know the guys that make the game, League of Legends, that I'm always blabbing about.) I made the image resolution work for for widescreen monitors. So just in case you are feeling it that much you have that option. Read more for more reading! Oh and a few more things! This piece took upwards of 5 hours. One of the longest periods of time I've put into an personal work... I think (and hope) it really paid off and looks good. I worked from a very low resolution image as reference and feel like just that was a great learning experience. I also only used one brush for the whole image, that was pretty fun as well but it did make the image look very plastic-y. I worked really hard to try and get good skin tones in. My wife always criticizes me for my skin tones being way too desaturated. Any comments, questions or suggestions please leave them down below for me. Thanks for checking out my art and reading my words. As always God bless, be safe.